Stella Charming Design | Creating. Always. I have made a few tutorials on double knitting in the round to make it easier for you to make my double knitted designs, like Fliggflagg, Skranglemann and Vinterhjerter. All the videos are without sound to make them as international as possible. The important thing to notice here is that you put the yarn you want on the side of the work facing you while knitting over the index finger while casting on. Notice that the yarn on the facing side of the work is closest to you on your index finger, that both yarns are held to the back for the knit stitches and to the front for the purl stitches. I hope you enjoyed these tutorials and have fun with your double knitting! Read about this in Norwegian // Les om dette på norsk HER. This week there is a 50% off sale on Akeleie in my Ravelry pattern store! I have just had Akeleie translated into English, and I have also added four sizes, so the pattern now comes in nine sizes! This is a very easy knit, perfect for novice knitters. I have used DROPS Eskimo for this design, a bulky yarn, on a 9 mm needle. In other words is this a very fast knit. The sweater has raglan sleeves, so there are no seams on this design. For more details and pattern, visit this page. 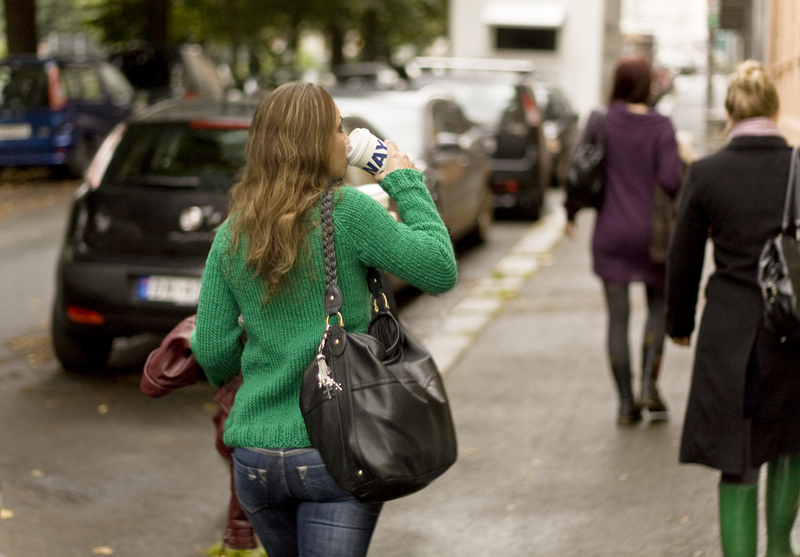 Read about this in Norwegian//Les om dette på norsk her: Stellacharming.no. 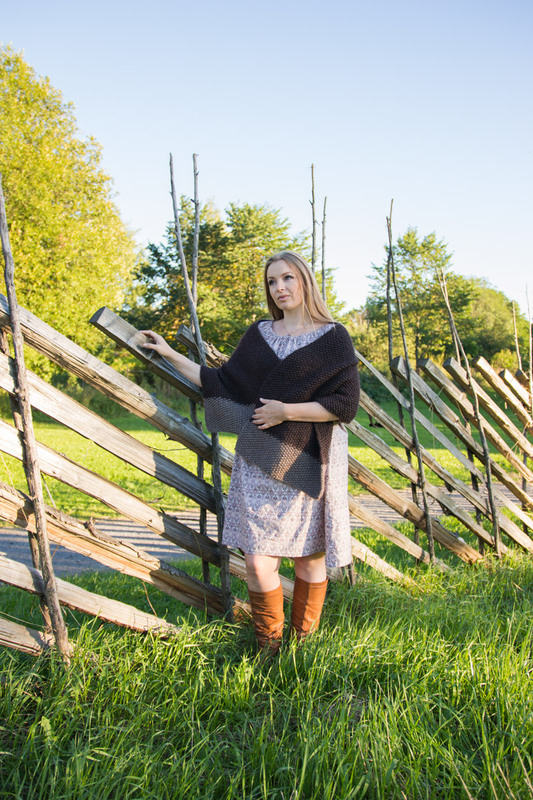 This week there is a 50% off sale on the Hyssop cowl pattern in my Ravelry pattern store! This wide cowl is loosely knitted in a spiral rib, in DROPS Delight, and it is so soft and warm. See more details about this design and buy the pattern in my Ravelry pattern store! Read about this in Norwegian. // Les om dette på norsk: stellacharming.no. My Ravelry group, Charming Knitwear, has reached 100 members, and I am celebrating with av giveaway! Fliggflagg is among the patterns you can win. Be a member of my Ravelry group, Charming Knitwear. Find the thread called 100 members celebration giveaway. Leave a reply, letting me know what pattern you would like if you win. I will give away 5 patterns in English. You will find more information HERE. The winners will be drawn on 29th of November. I have just released a new design: Skranglemann! 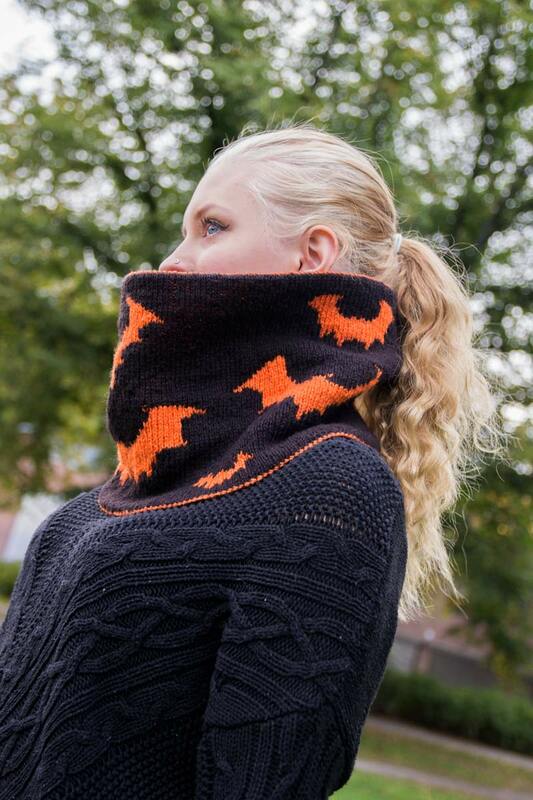 Skranglemann is another double knitted cowl with a Halloween motif. 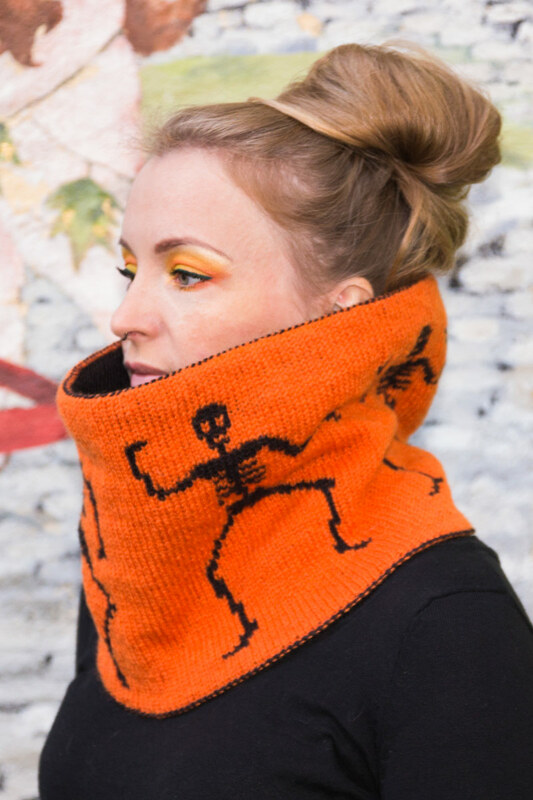 These dancing skeletons will keep you warm and cosy during the scary season! 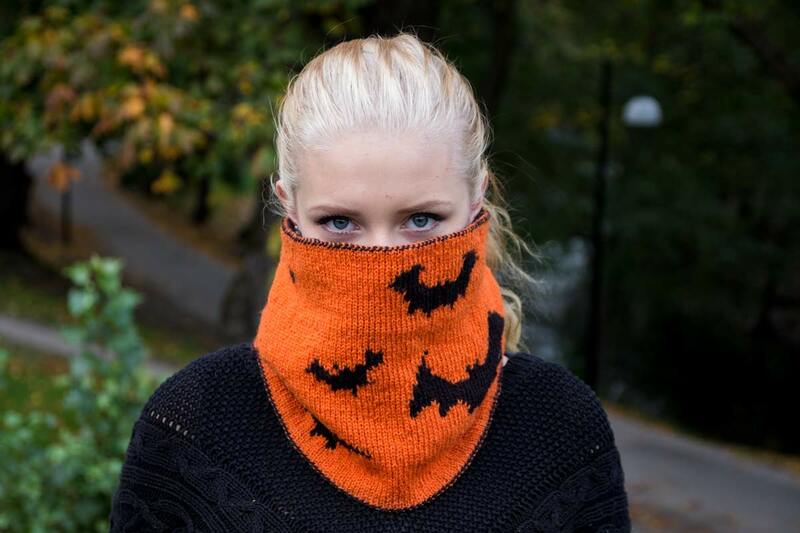 Skranglemann (which means something like rattling man) is a one size unisex cowl fit for most ages. You might need to be a bit playful to wear it, but that´s it really. I really love double knitting. It is a technique with a lot of room to play around with different motifs. It is not hard to do either, all you need to know are knit and purl stitches really. A have made a few video tutorials on this technique that I will post here during the next few days. This pattern is available in English in my Ravelry pattern store, with more details about the pattern HERE. Until the end of October you´ll get a 50% discount on this pattern! I have been having a lot of fun making this design! 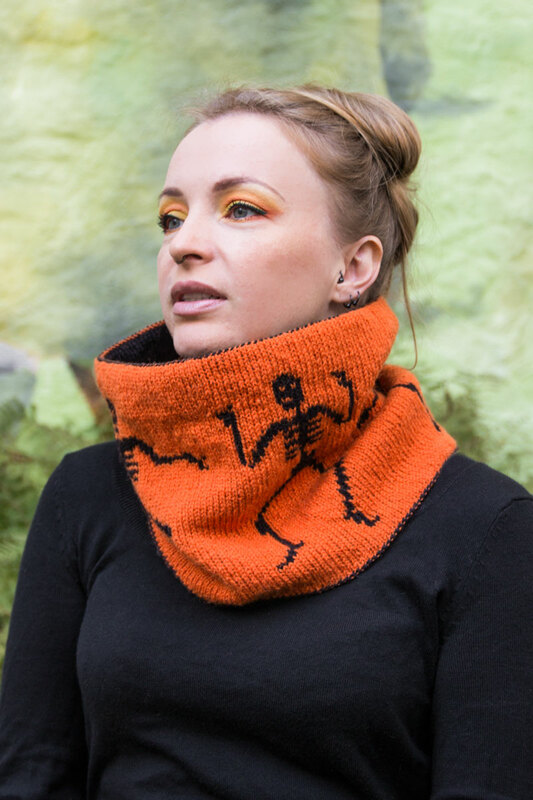 It is a double knitted cowl perfect for autumn and Halloween. I really love this time of year. Nature is so stunning with all its reds and yellows. I also love Halloween, when everything is sort of cosy and scary at the same time. When the idea for this cowl came to me I dropped all my other projects and focused on this. I am so happy I did! I love it! Double knitting is so much fun! It is a technique which gives a lot of room to play around with colours and motifs. I used a Fine wool for this design, Finullgarn from Rauma, but you can use most yarns with a gauge of 26 sts per 10 cm. You will find more details about this design in my ravelry store where you can buy the pattern if you too want to knit Fliggflagg. Read about this in Norwegian. // Les om dette på norsk HER. I am learning to sew after so many years of wanting to but never seeming to find the time. One of the first things I´ve sewn is this bohemian dress, and I love it so much! I brought Mr. Charming and his camera to this park in the middle of Oslo to play around with the lovely light one evening a few weeks ago. Can you believe that we are surrounded by the city? The whole mood in these photographs is very rural, I think. I made this shawl this spring and used this opportunity to photograph it too. It goes so well with my dress! 8 mm/ US 11 needle. Gauge: 12 sts = 10 cm worked in moss stitch. Finished measurements: 40 x 140 cm. Yarn: 2 skeins of light brown Sulka, and 8 skeins of dark brown Sulka. I cast on 49 sts with light brown and worked in moss stitch, with one selvage stitch in each side. When I had finished the first skein of light brown I switched to dark brown and knit until I had used all the 8 skeins I had. I switched to light brown again, knitted the same amount of rows as with the first skein of light brown and bound off. You can of course make this in any kind of yarn and with any kind of measurements you like. A shawl is like a warm hug. Knit one for someone you love and you have given them a comforting hug that lasts forever, with love in every stitch. 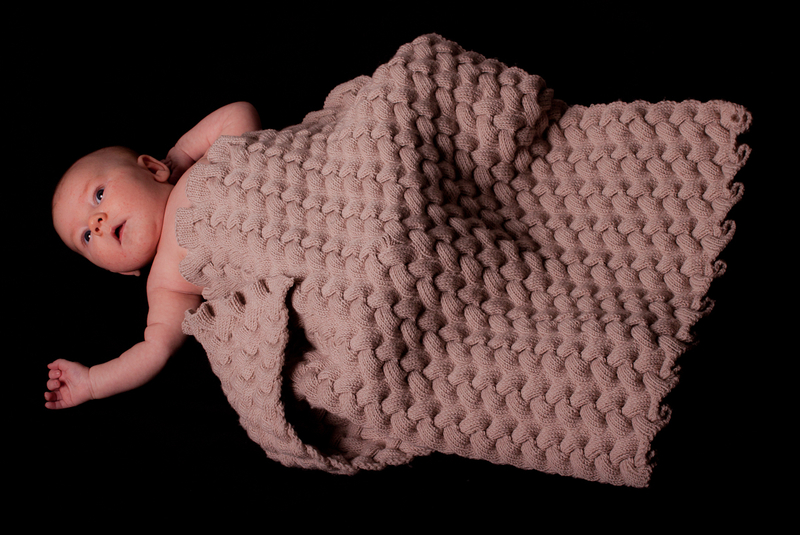 I am very happy to present my newest design: Atlin baby blanket! A very good friend of mine moved all the way to Australia to marry her sweetheart. Australia is very very far away from Norway, and when she told me she was expecting a baby I almost immediately got the idea for this blanket. I want to be a part of my friend´s and the baby´s life, and when I can´t be there myself, I wanted to do the next best thing which is to send my love in the form of something I have designed and knitted with love in every stitch. The little prince was borne in mid June (the day before my own birthday actually) and I am happy to say the blanket made it there in time for the birth, and that the parents loved it. Atlin is knittet in DROPS Cotton Light, in a beautiful leaf pattern. The blanket is a surprisingly fast knit, which my testers proved when they finished it in only a few days. 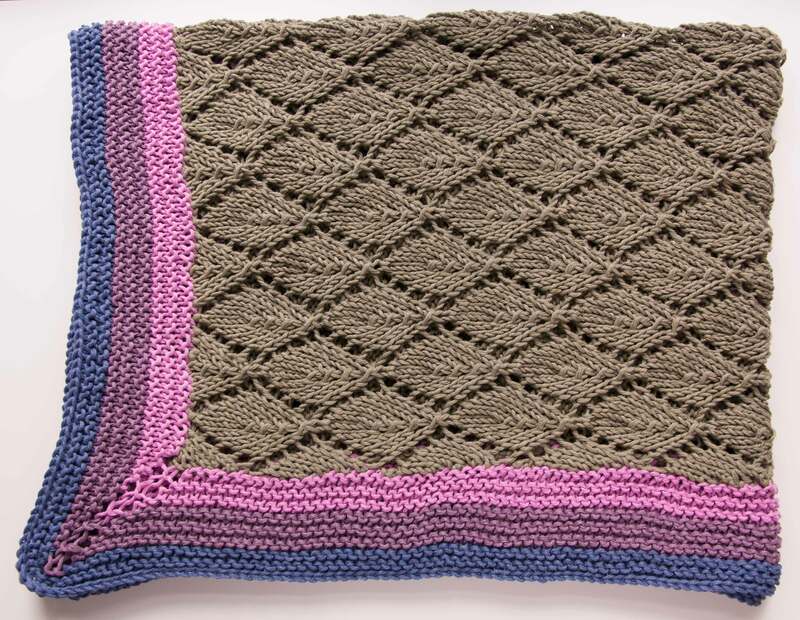 See more details about the Atlin baby blanket an buy the pattern in my Ravelry pattern store. 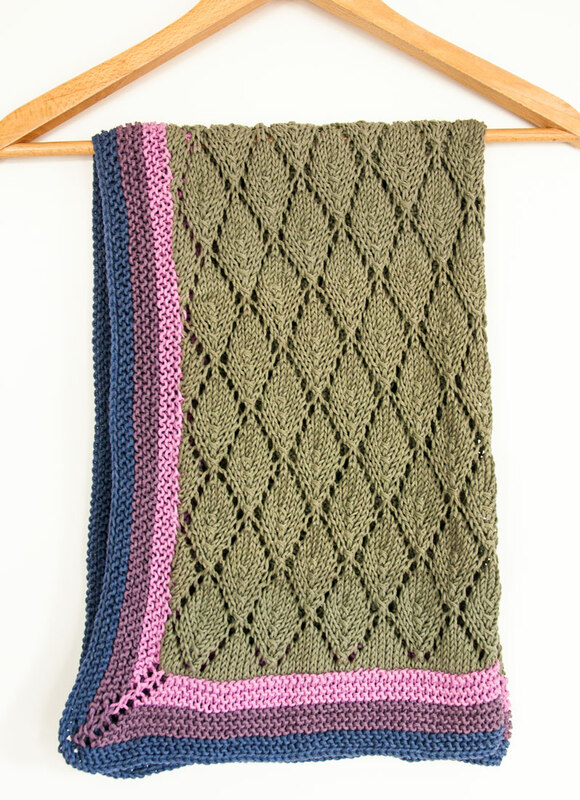 This week there is a 50% off sale on the Pluto baby blanket pattern! Pluto is a unique and beautiful blanket covered with reversible cables, making it just as beautiful on the wrong side as on the right side. Pluto is knitted in DROPS Baby Merino, and is a soft and warm blanket for the little ones. The reversible cables are really fun to knit! See more details about this design and buy the pattern in my Ravelry pattern store. You have the chance to be one of the first to knit my newest design, Atlin baby blanket! The test knit is held in my Ravelry group, Charming Knitwear, where I have made a topic for the testing. 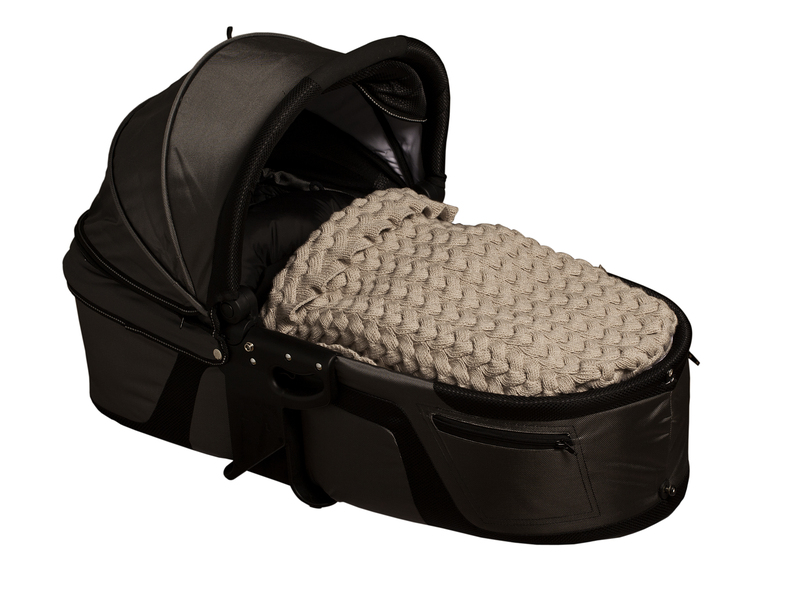 Everything you need to know about the test knit is listed there, and you can also ask any questions you might have about the blanket and the testing there. You need to be a member of Ravelry to participate in this. Come on and join!